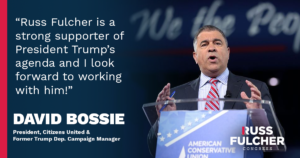 Meridian, ID – This week, two more national conservative groups with a history of defending conservative values nationwide endorsed Republican candidate for Congress Russ Fulcher. 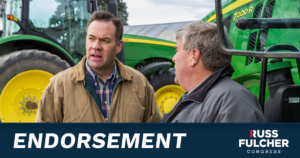 Former State Senator Russ Fulcher, candidate for Idaho’s 1st Congressional District, is honored to announce that The Club for Growth PAC is endorsing his candidacy for U.S. Congress. 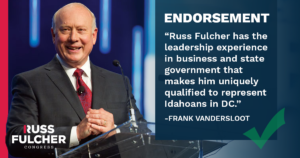 Russ Fulcher, candidate for Idaho’s 1st Congressional District, is pleased to announce that the Citizens United Political Victory Fund has endorsed his candidacy. 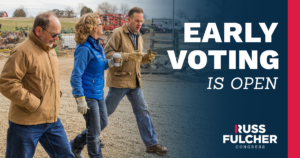 Paid for by Russ Fulcher for Idaho. Julie Johnson Treasurer.